TANGO: What Is A Milonga? Tango dancers can dance on most surfaces. 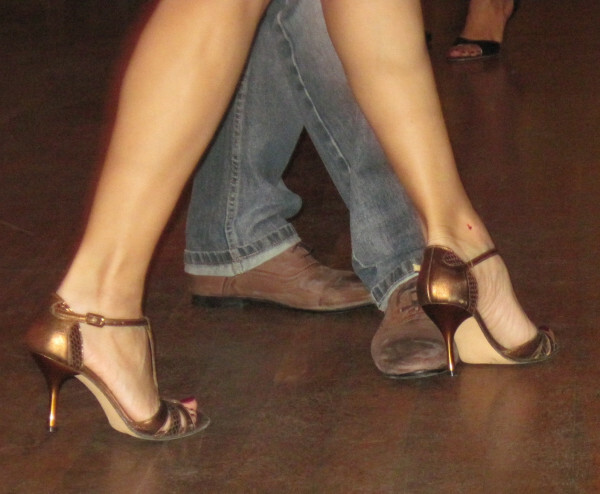 Tango dancers can wear shoes of various styles. 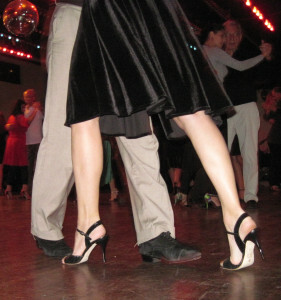 A Milonga is a social gathering for tango dancers. A Milonga can be an inside or outside event. A Milonga can be held any time of the day. The type of Milonga can be as creative as tango itself. On Thursday May 15, 2014, tango instructor Rafael Galante celebrated his birthday at Milonga El Abrojito located at the Los Angeles Argentine Association. The distinction of this venue, besides the brand new wood floor, is the giant screen which displayed a tango documentary (with the sound turned off) while the DJ played tandas of tango, milonga, and waltz rhythms. The video below features the festivities and is a thorough answer to the question; “What Is A Milonga?” and clearly reveals that a Milonga is a collaborative event. 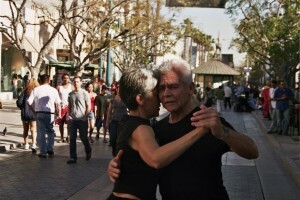 To further answer the question of “What is a Milonga?” let’s discus the tango dance lesson. Just prior to a Milonga a dancer may be offered a tango lesson for a minimal price at the same venue. Milonga El Abrojito charges less than $10 per person. The lesson incorporates either the tango, milonga or waltz melodies. Combinations of steps are introduced allowing beginners, and the more experienced dancers, to benefit from the entirety of the lesson. At times, Milongas present guest instructors that teach different techniques or styles in order to offer dancers creative options. Successful Milongas are collaborations. First, a venue is secured by the host or hostess who might, also, be the dance instructor, performer, DJ or an entrepreneur. Many believe the DJ will make or break the popularity of a Milonga. While it’s difficult to please everyone, the music should make you want to get up and dance. I prefer nuevo tango rhythms such as Montserrat by Bajofondo and unique older melodies by composers such as Hugo Diaz. Fortunately, a cornucopia of tango music selections are available for the DJ to please the crowd. Tanda[tanh’-dah]: A set of dance music which can be either three, four or five songs, separated by a cortina. Each tanda is dedicated, specifically, to either tango, vals, or milonga melodies. Cortina [cor-tee’-nah]: A musical interlude in between a tanda at a milonga. 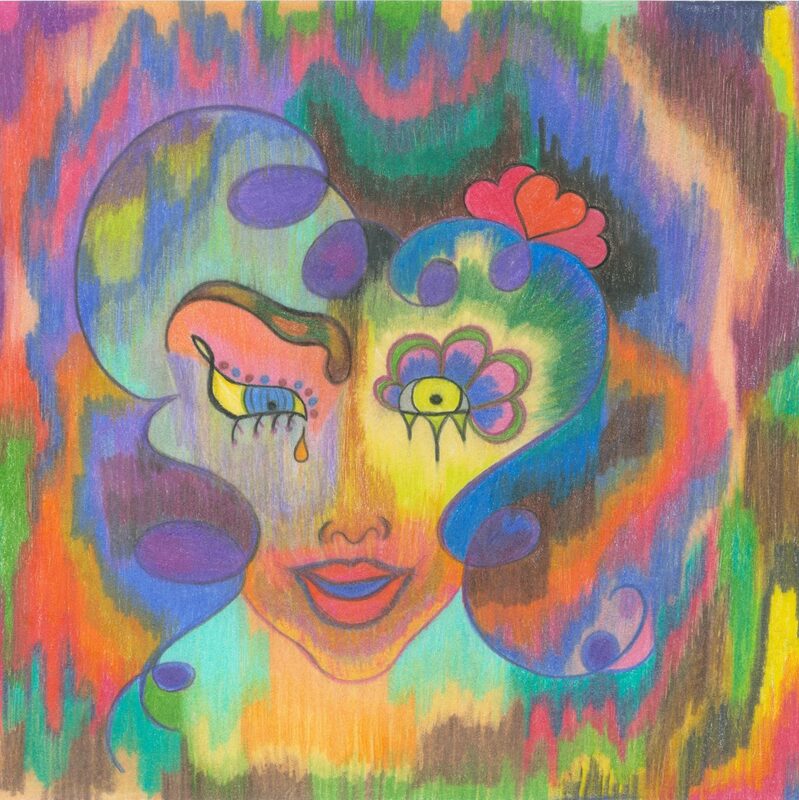 The interludes range from jazz, show tunes, rock-n-roll, world music, and other genres. If the venue is not located at a restaurant, snacks may be included in the Milonga entry fee, or, food such as Empanadas may be sold by a vendor. Fresh salad, fruit, and dessert is offered at El Abrojito. The availability of alcoholic beverages is not a common feature of Milongas. To sell liquor, the venue must have a license. Anyway, it’s best to have your wits about you when executing the intricate footwork. When a Milonga features a performance the dancers are usually professionals that travel throughout the country conducting workshops between shows. Milongas with their own instructors have been known to showcase their best students on special occasions. For those who love to celebrate their birthdays with tango, dancers will line up to dance with the birthday guy or gal. This is commonly referred to as the “Gang Dance” and is depicted in the video posted above. Milongas are definitely collaborative events but–for those who are obsessed by tango–it can be danced anywhere at any time.